What is a Collaboratory? 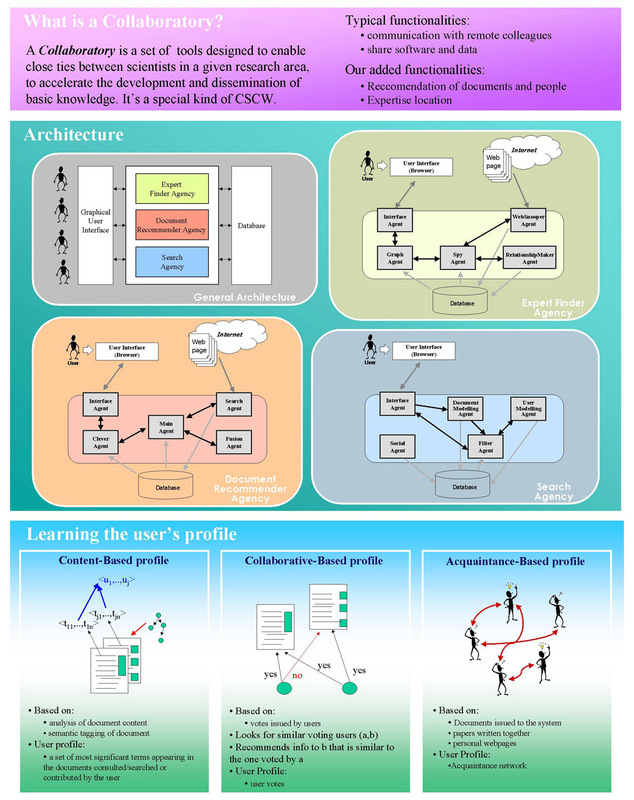 A Collaboratory is a set of tools designed to enable close ties between scientists in a given research area, to accelerate the development and dissemination of basic knowledge. It is a special kind of CSCW. 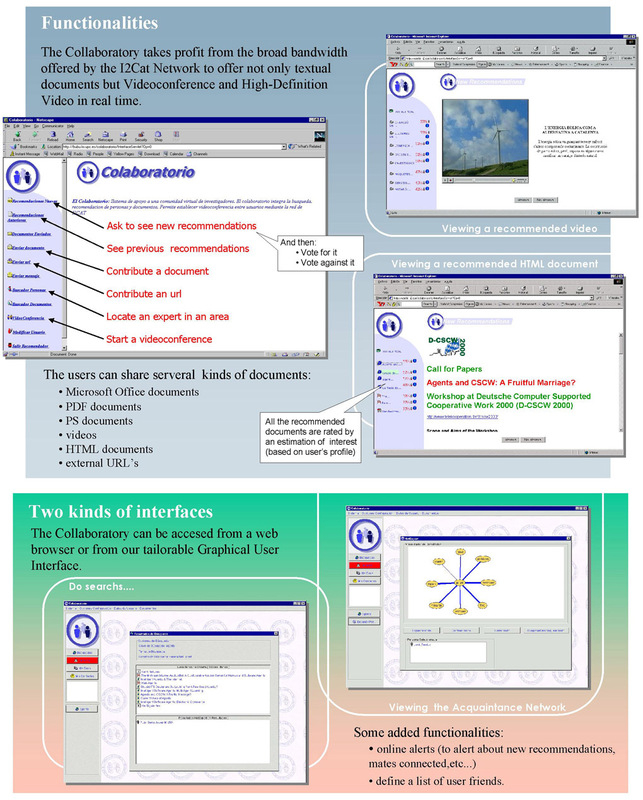 We have developed the "Colaboratorio" tool entirely in our group. This tool integrates also some contributions of other members of the consortium. A. Vázquez, I. Barrio, J. Vázquez-Salceda, J.M. Pujol, R. Sangüesa. "An agent-based Collaboratory". 4th Catalan Conference on Artificial Intelligence (CCIA 2001), Barcelona, october 2001. R. Sangüesa, J. M. Pujol. "NetExpert: A multiagent system for expertise location".IJCAI'01 Workshop on Organizational Memories and Knowledge Management, Seattle, USA, july 2001. R. Sangüesa, A. Vázquez, J. Vázquez-Salceda. “Mixing Collaborative and Cognitive Filtering in Multiagent Systems”. Presented at the 3rd Workshop on Agent-Based Recommender Systems (WARS 2000), Barcelona, june 2000. This project is funded by the I2-CAT consortium.